Pebble, makers of what many consider to be the original smartwatch, is having quite the year. After becoming the most funded Kickstarter of all-time with its third-generation Pebble Time and following up a week later with Pebble Time Steel, the company is back with a third watch for 2015. The Pebble Time Round is the company’s first smartwatch with a circular face. In addition to the obvious round design, the new watch is also thinner and lighter at 7.5mm thick and 28 grams, respectively, and it is compatible with two strap size options (14mm and 20mm widths). Its slim profile does come at a cost as the device won’t run nearly as long as other models on a single charge (expect about two days versus up to 10 with the Time Steel). The good news, however, is that a quick 15 minute charge can extend runtime by up to 24 hours. It’s being offered in your choice of black, silver or rose gold color schemes with a variety of leather and stainless steel bands to choose from. It uses the same e-ink technology as earlier models and is also compatible with Android and iOS handsets. 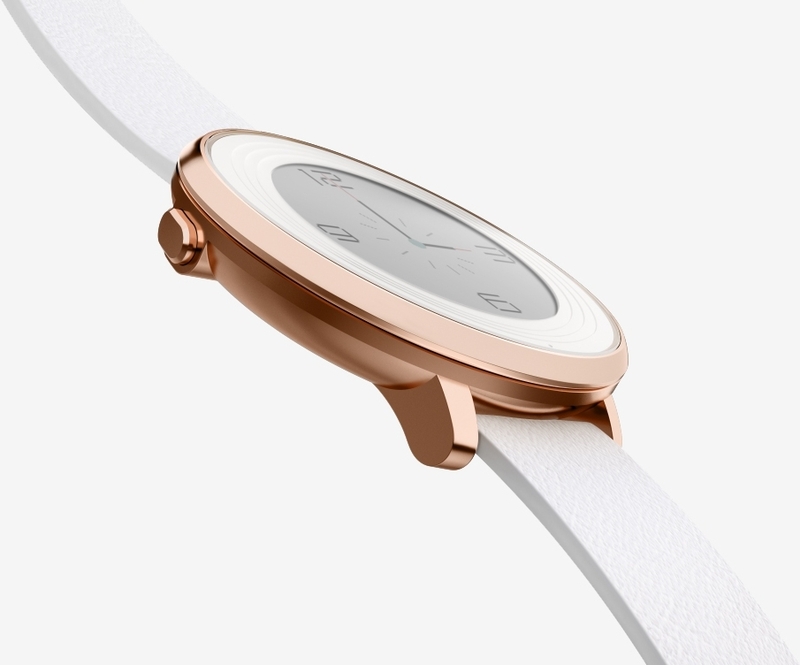 Pebble is now accepting pre-orders for the Time Round with pricing starting at $249.99. Do note that it won’t ship for another six to eight weeks so be prepared to wait a bit. Just for the record, our regular wrist watch is perhaps the most perfect mechanism crafted by man. I personally wear a solar-powered marvel that has required zero care since I bought it in 2006. Reinventing that is like reinventing the wheel, just as dumb and twice as pointless. Would you go to a dentist to get yourself new new set of teeth that will last 2 days? I understand your point, but the wrist watch serves two purposes: status and give the hour. An smartwatch goes beyond the latter, and there will be people who appreciate it. There hasn't been invented an infinite source of energy, yet. A horse needs to eat, as much as the car needs gasoline... everything needs to recharge, even your solar powered wrist watch, which doesn't require that much energy to work. One day there will also be smartwatches powered by solar energy and your second point will be invalid; there's no arguing that a watch -an expensive one- is one of the most marvelous mechanisms crafted by man. According to an expert: only watches nearing $1,000 and beyond have enough human input to be considered human-crafted. Want an smartwatch to call ridiculous? There's the Apple Watch Edition. Cars and airplanes have been reinvented and no one is calling them ridiculous, maybe some features and their additional cost, but not the reinvention. Innovation is all about reinventing, find new uses and approaches -look at what Samsung is doing with a camera and a display. I'm pretty sure there were a lot of people who called the Concorde or the computer ridiculous; and see how far we've come from the first conception of the Wright brothers and Charles Babbage. NightAngel79 and VitalyT like this. So....it's a square screen covered up by an enormous round shaped bezel. eew. It looks far better than any other smartwatch available right now because of thickness, or relative lack thereof. All of today's smartwatches apart from this one cannot be worn with long sleeves and if you're in a public queue you have to mind your distance from the person in front of you, you wouldn't want them thinking you're trying to touch their arses, would you now? I think that a slightly thicker version with longer battery life would have been nice. Even 40g would probably have afforded at least double the time, I would guess. What a silly comment. Your solar-powered wrist watch is nothing like the first wrist watches, and for tens of years now watches not only gave the time but also the date, alarms, stopwatches and timers. Calculator watches were quite popular in the 80's (and existed in the 70's). So watches (just like wheels) have changed a lot over the years. This is another change, perhaps one you disapprove of, but it's certainly not bad just because it's a change.